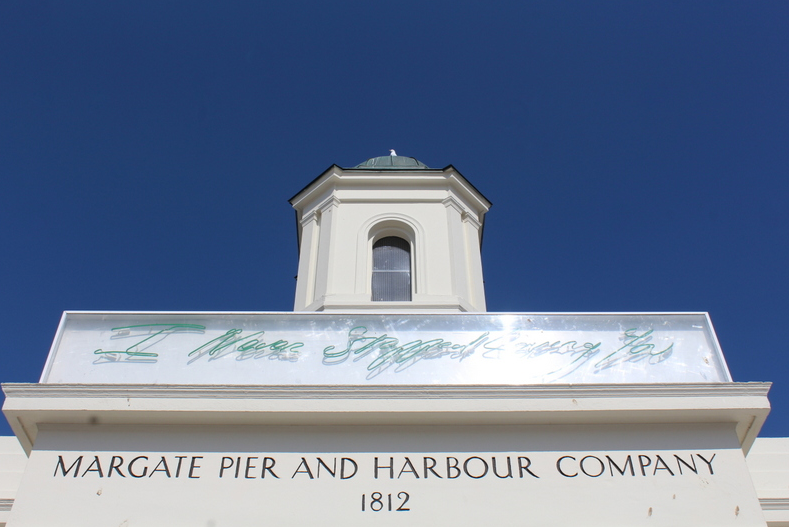 Margate is without a doubt the trendiest seaside town at the moment, what with the renovation of Dreamland – the quintessential British amusement park – among other unique attractions. To me, it will always be Turner’s retreat, his bolt hole, his inspiration. He fell in love with the sea, the skies, the light. So as I wandered around this buzzing town with its interesting mix of hipster and somewhat rough inhabitants, I was glad to see the art is still alive. 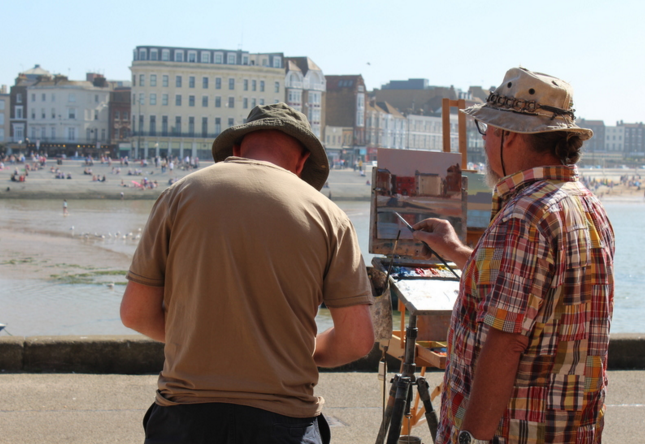 The first reason I’d give to visit Margate is to step into Turner’s shoes, pick up a pencil, a paintbrush – your tool of choice – and draw. 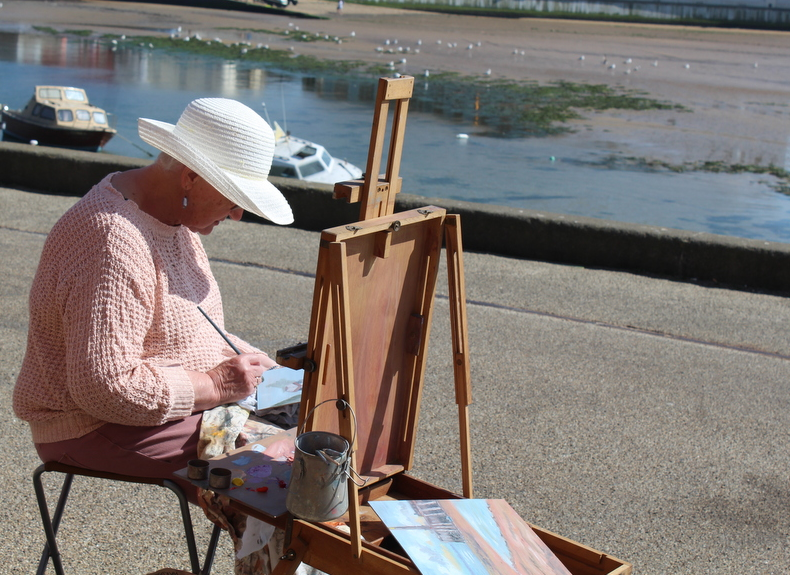 There’s a wonderful gallery on the pier where you can sit (or stand) and wile away a lazy sunny day burrowing down into a rabbit hole of colour and shapes. What better way to forget about life’s woes than to give over to your artistic side. 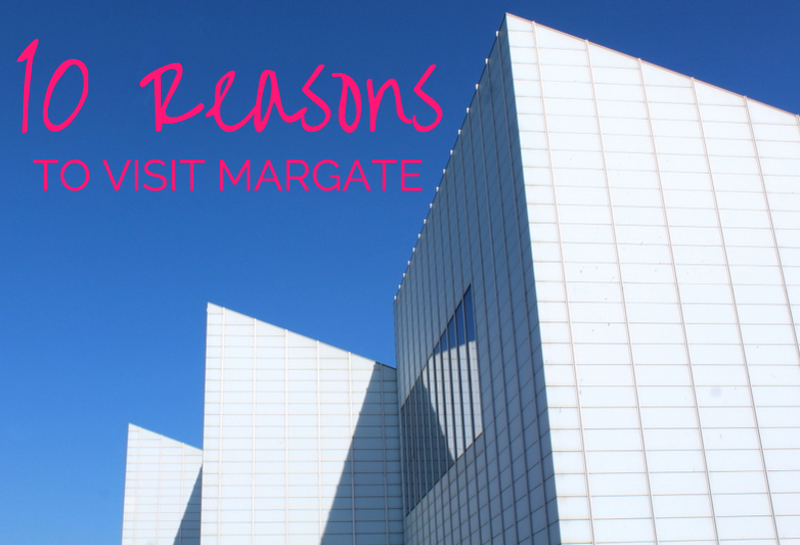 One of the main reasons to visit Margate is to get your hit of that seaside feel, and in this charming town you’ll get it in bucketloads! 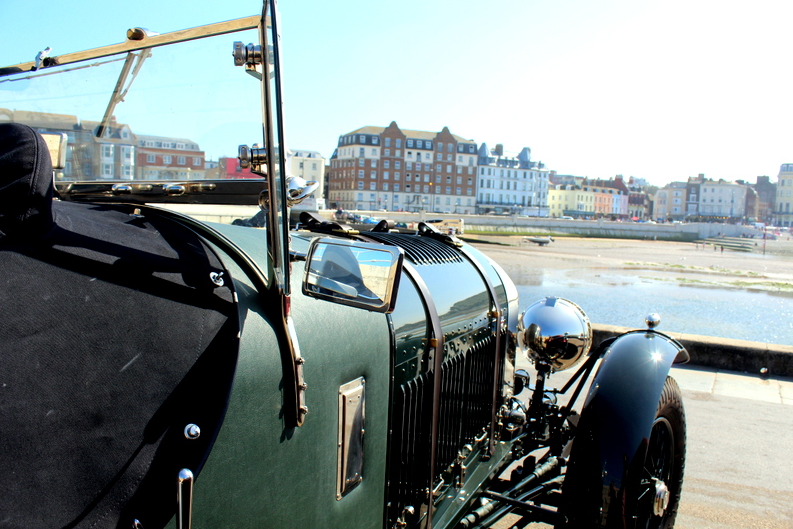 We were lucky enough to visit on the sunniest of days when the beach was filled with happy sunbathers, the pier was alive with music and classic car owners had dusted down their rides! 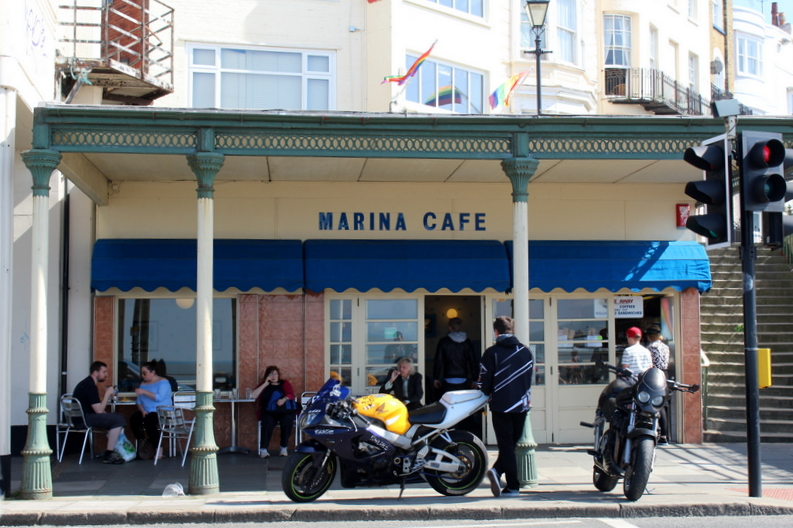 Seaside towns seem to be big with bikers on good days, and Margate was no different. Shining bikes stood proudly in the sun outside all the cafe’s on the seafront. Ready to go on the next step of their adventure. 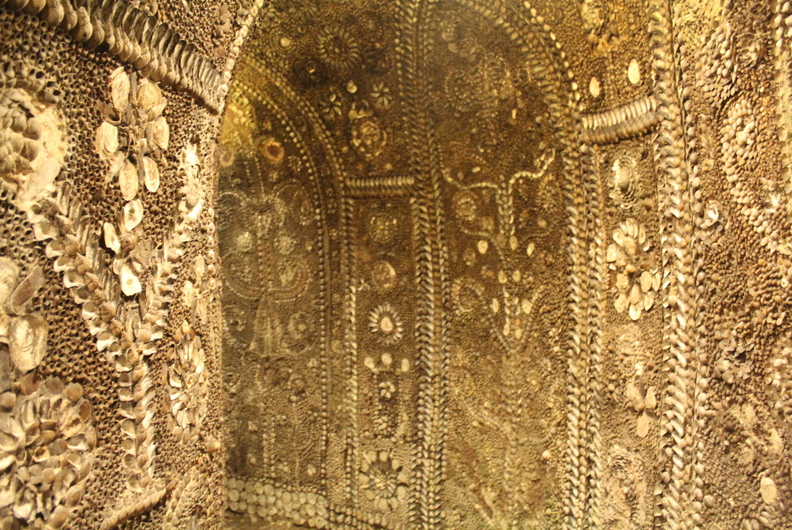 The Shell Grotto is the famous mystery of Margate. 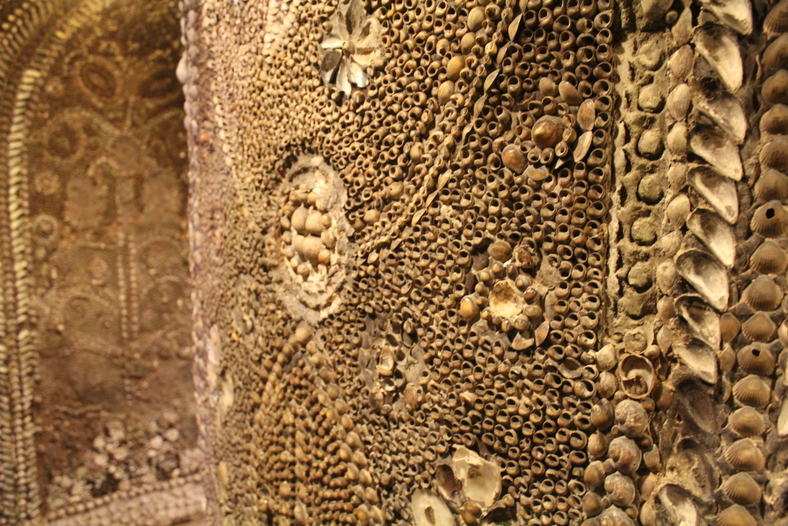 This underground grotto is almost entirely covered in mosaics made of tiny shells – 4.6million shells to be precise – mussels, cockles, whelks, oysters, scallops and limpets. I sometimes wonder where they get these facts from, did a team of people get together and count all the shells? The Grotto was discovered in 1835 but no one actually knows when it was built with guesses covering the past 3000 years. The function r reason for the Grotto isn’t known either, some say it was a rich mans folly, yet it’s built on common land, some say it is some sort of prehistoric astronomical calendar and some think it was connected to the Knights Templar! Needless to say, the Grotto is shrouded in mystery. The little Cafe and shop above the grotto sells a wide variety of shells if you fancy taking some home and making your very own Shell Grotto (or maybe just a little mosaic!) 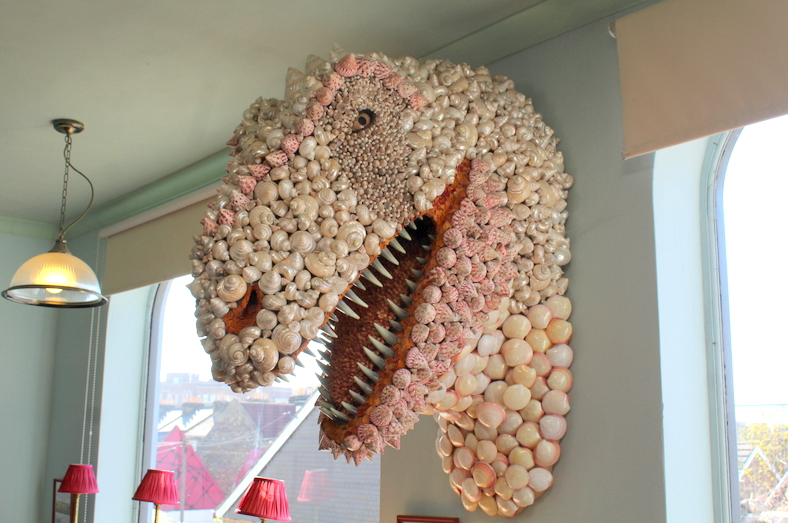 I particularly loved the giant T Rex head they had made out of shells. 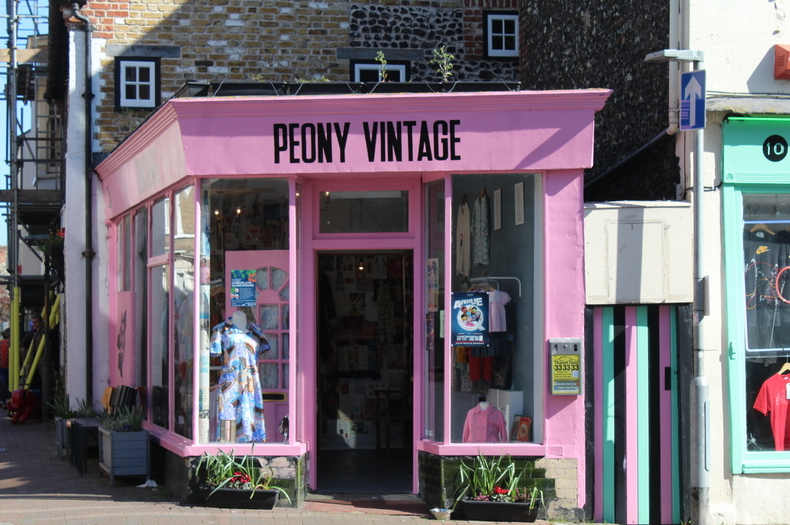 Margate is filled to the brim with vintage shops – clothes, antiques, bric a brac. You could find anything here! 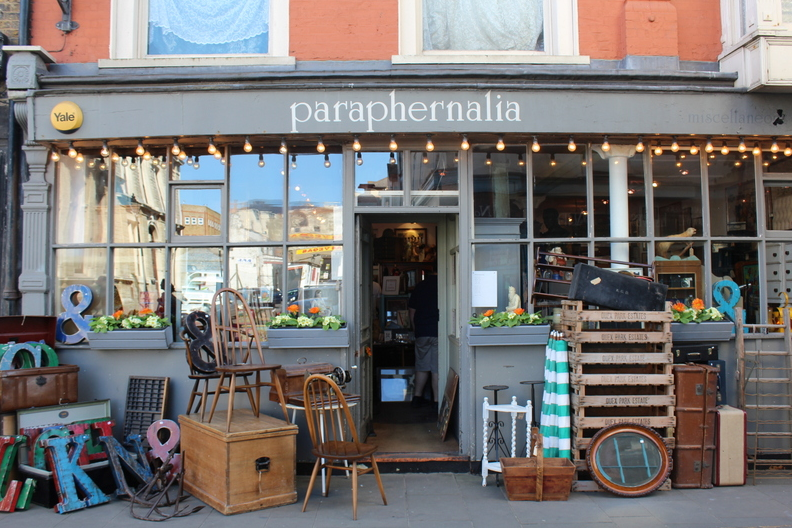 Paraphernalia was the most interesting shop in my mind, with an extensive antique Crucifix collection (!) as well as some beautiful prints of Greenwich in the 18th century being just some of the oddities on sale. 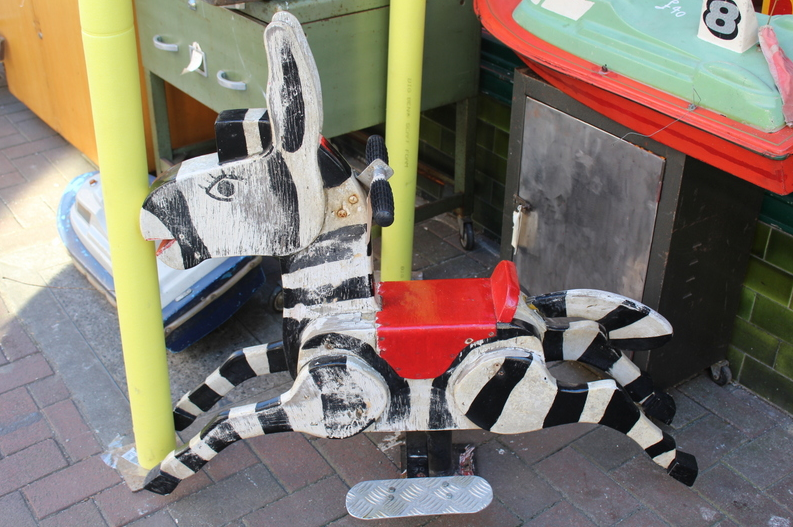 Neon signs are another thing you could go home with from your day out in Margate, or how about a wooden zebra, possibly originating from a carousel or a children’s playground? 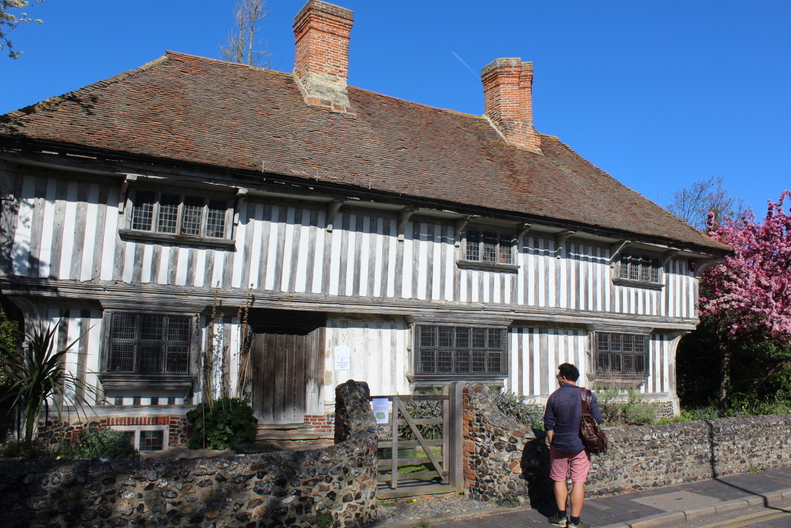 The Tudor House on King Street is one of Margate’s oldest buildings, dating to the first half of the 16th century. 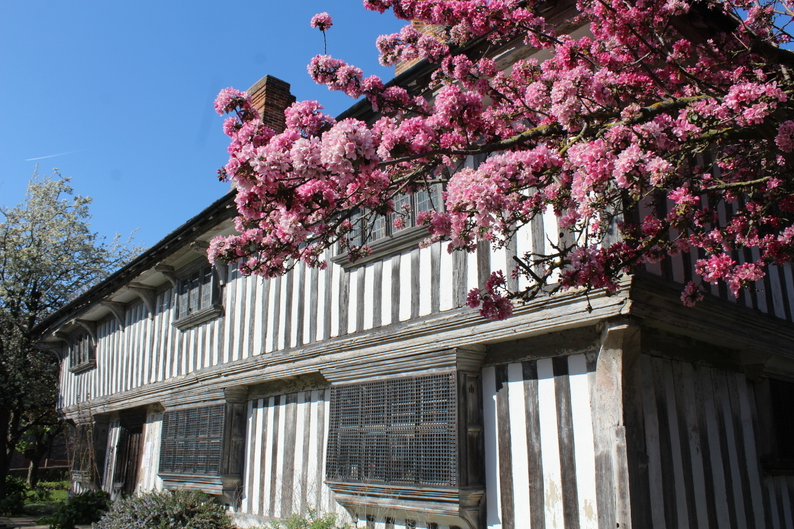 Entry to the museum is just £1.50 and in summer it is open from 11.30 to 14.30. 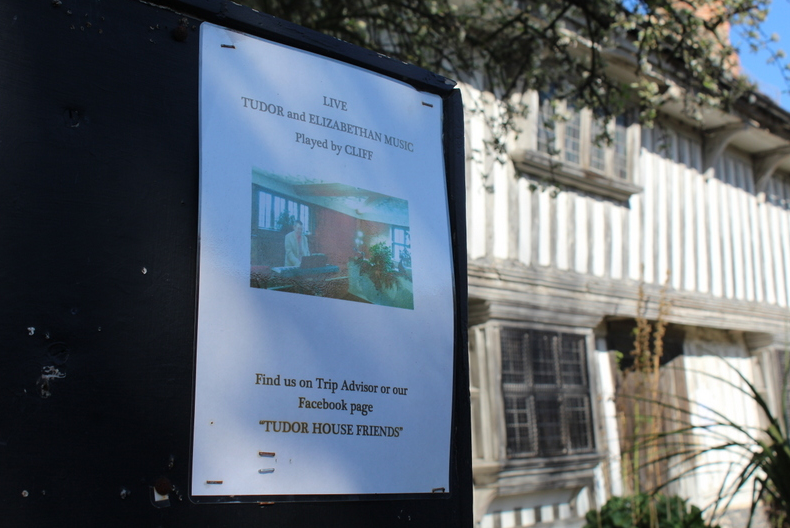 The house organises a Tudor Christmas Fair every year complete with costumes and music. And speaking of music, have a look at their Facebook page before you plan your trip (Tudor House Friends) to find out when Cliff – an Elizabethan and Tudor musician – is playing! We sadly missed him. 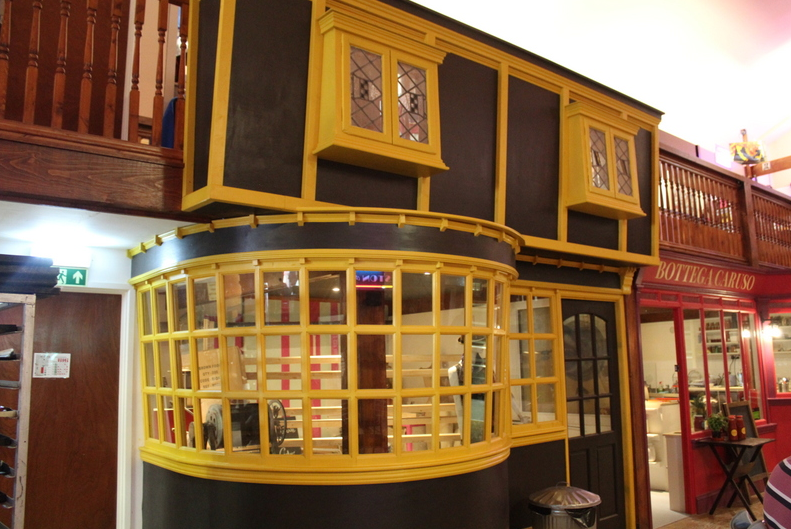 This perfectly preserved house feels like you’ve suddenly stepped back into a different era, standing in strong contrast to the houses on either side of it! It’s strange to wonder how many on the houses on King Street looked like this once upon a time. 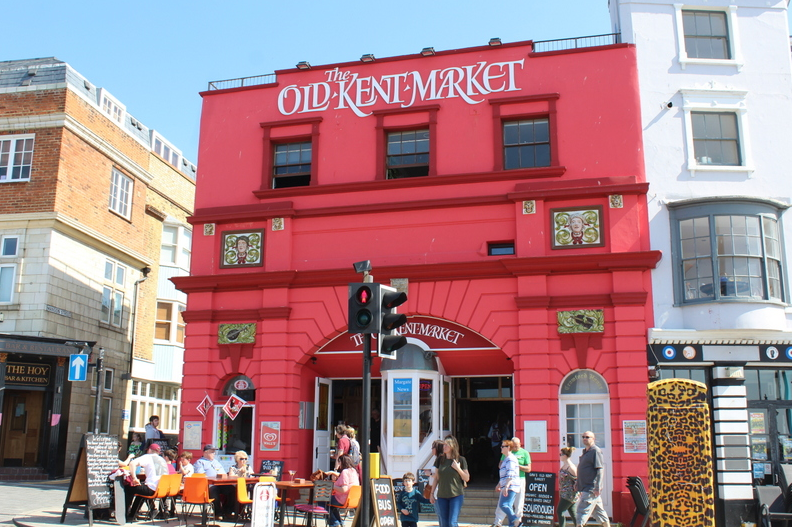 Old Kent Market is without a doubt one of the must sees of Margate – on the site of the Old Parade Cinema, the old building has been carefully restored to keep the charm of the buildings heritage. 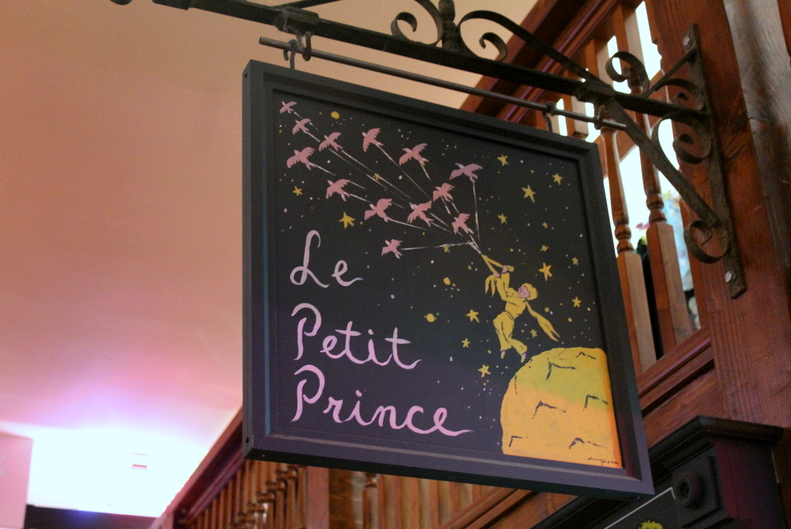 Filled with a mix of pop up stalls and permanent shops, you can’t help but be delighted. 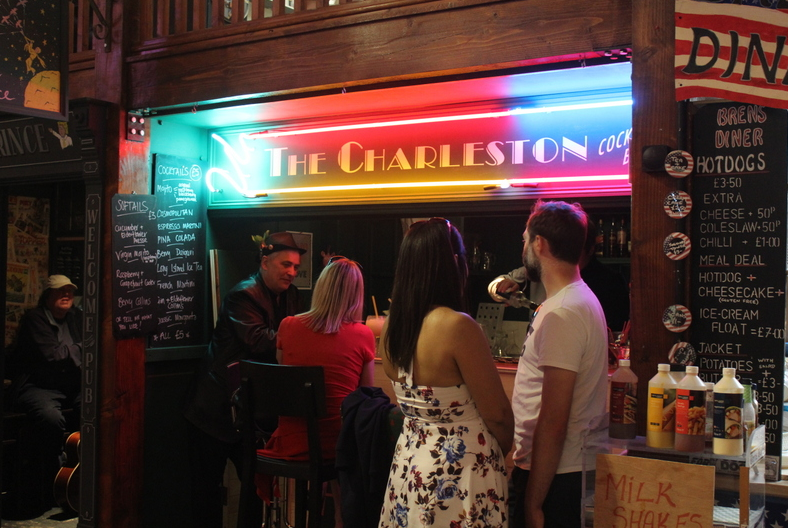 I fell in love with two little places in particular – Le Petit Prince Pub, large enough for just one seated guests and maybe two standing – and right next to it, the Charleston Cocktail Bar. It was too nice a day to be indoors, but had we stayed till the evening, I would happily have paid just £5 for a Pina Colada at this charming bar! 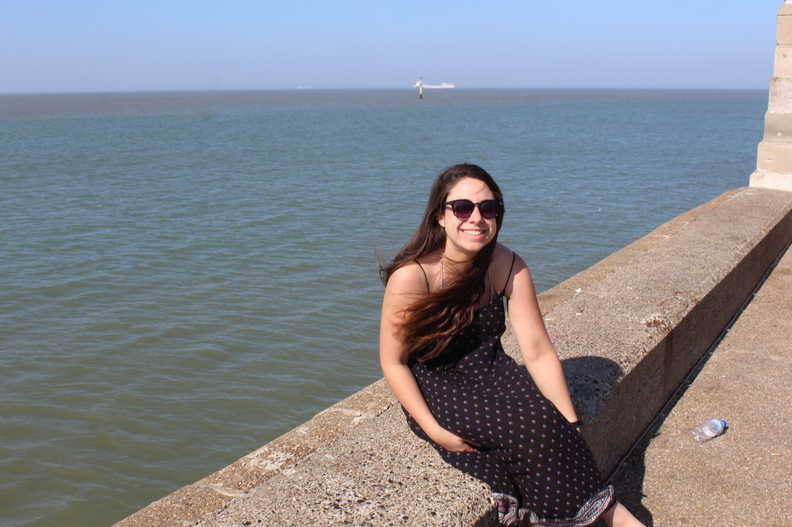 Margate Pier was my favourite place in Margate. 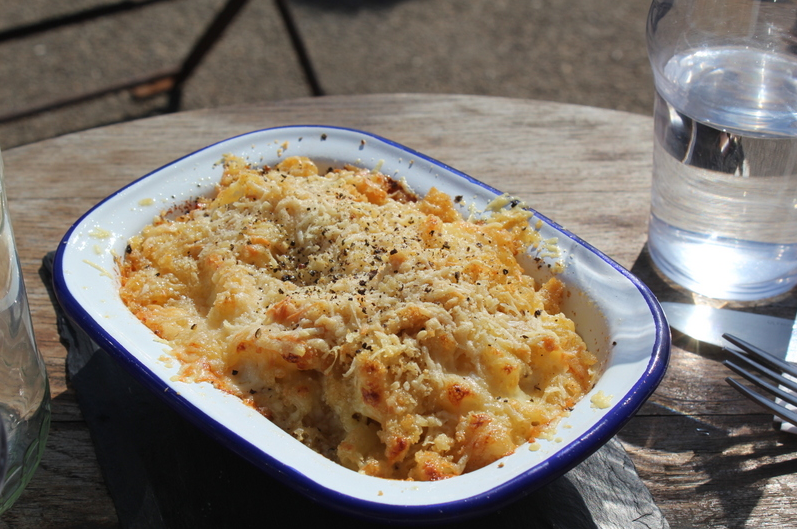 All the old fishermen’s cottages have been restored and converted into quirky cafes and delicious restaurants. 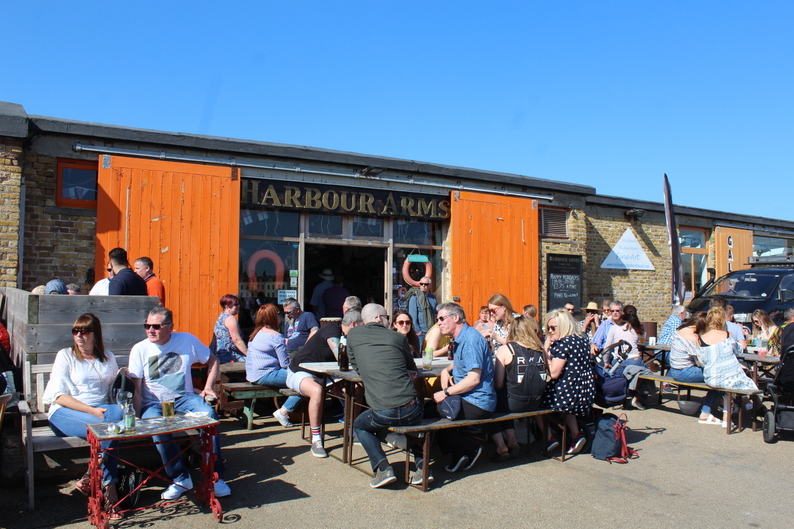 It’s a place to sit and soak up the sun and watch the world go by – the boats chugging in and out, the people frolicking on the beach and just generally people watch while you laze the day away. 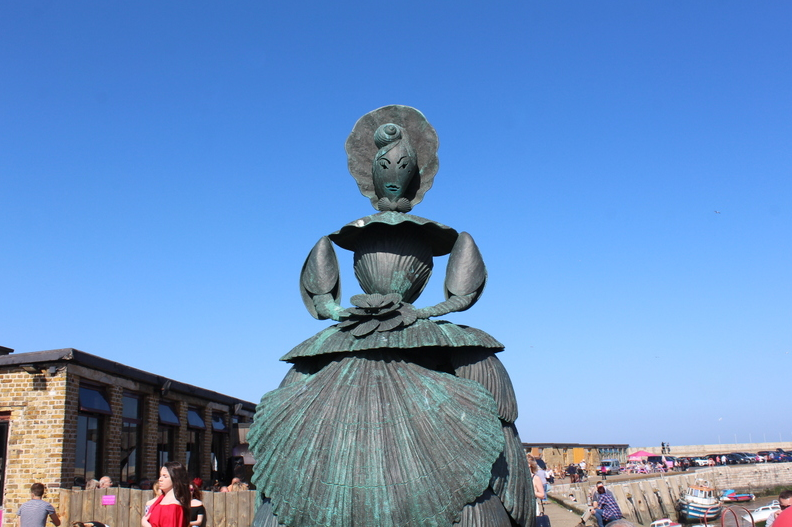 If you walk to the end of the Pier, by the base of the tall, thin concrete lighthouse is a statue of Mrs Booth, Turner’s lady friend who owned the house in Margate he came to stay at. 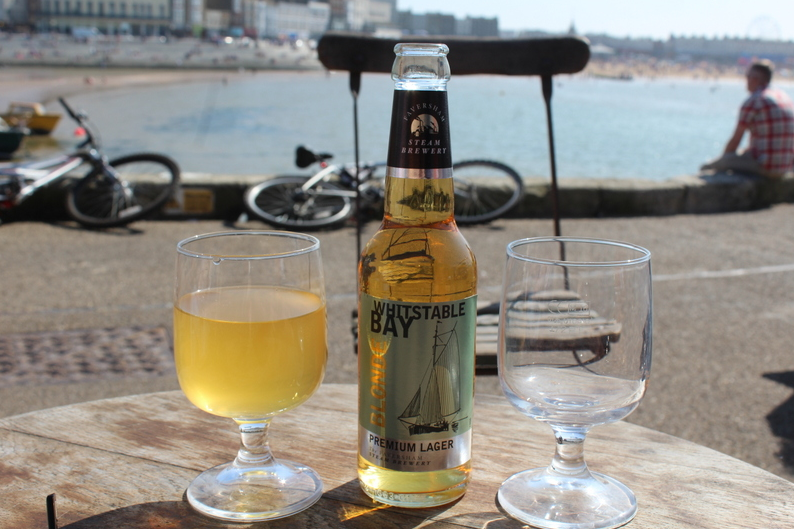 If you’re looking for somewhere to eat, there are number of amazing places in Margate. Unlike everywhere else in England, it seems to have dodged the trend for chain restaurants. I saw no Nandos, no Pizza Expresses, no Wetherspoons – though I’m sure they lurk somewhere. Instead local people and artists have taken over the management of the eateries to great acclaim! 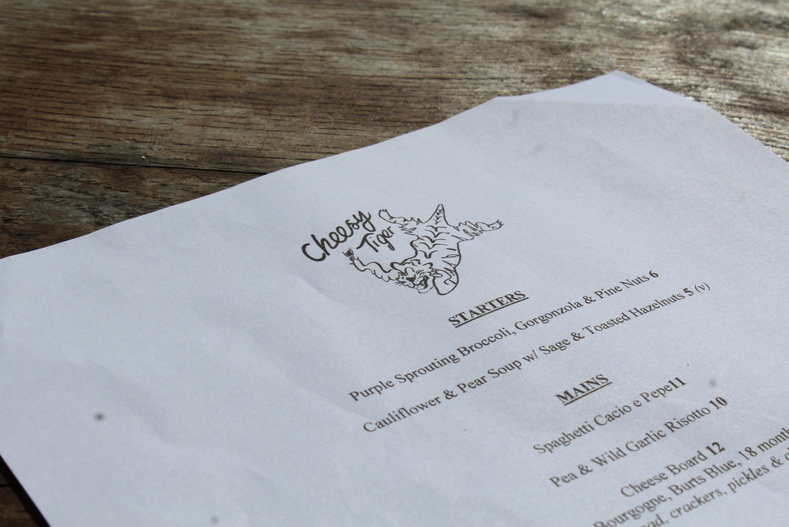 A friend of mine who recently moved to Margate recommended we try out the Cheesy Tiger on the Pier and I’m so glad we listened to her as the food was amazing. 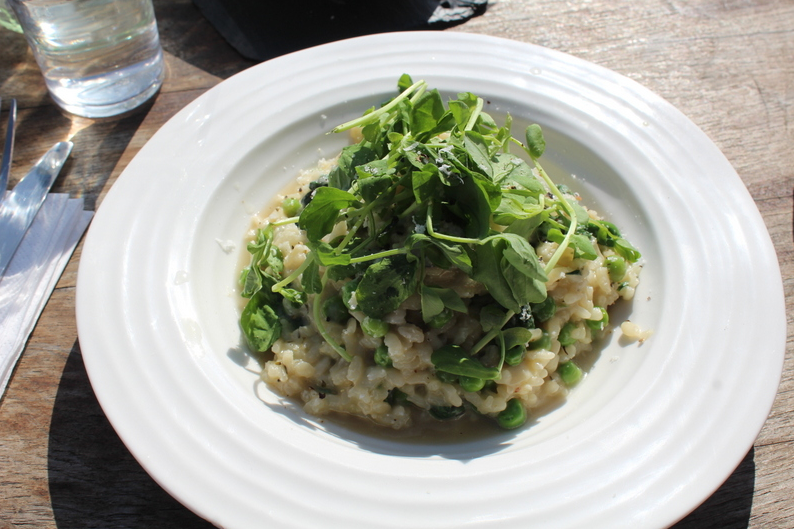 I started off with a glass of orange wine (a wine that sort of tastes more like cider), and we ordered a pea and mint risotto, mac ‘n’ cheese and purple broccoli with gorgonzola and pine nuts. The plates were practically licked clean! 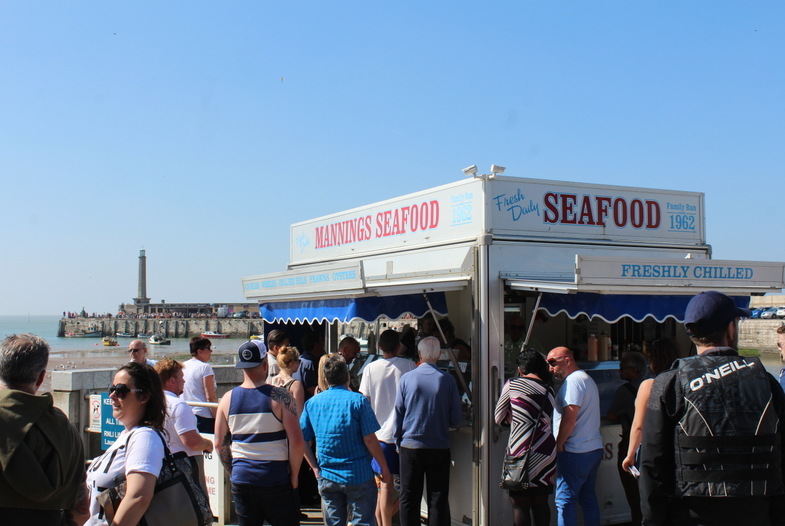 If you’re looking for seafood, go to Hantverk & Found (make sure to book if it’s a weekend though!) and check out Great British Pizza Company for some amazing and very reasonably priced pizzas. 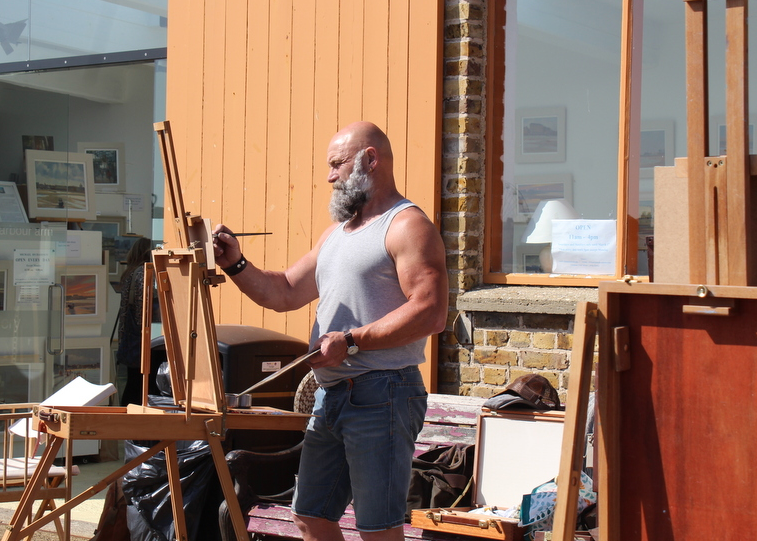 Built on the site of Mrs Booths boarding house and therefore the place where Turner lived, this Art Gallery promotes local contemporary artists. 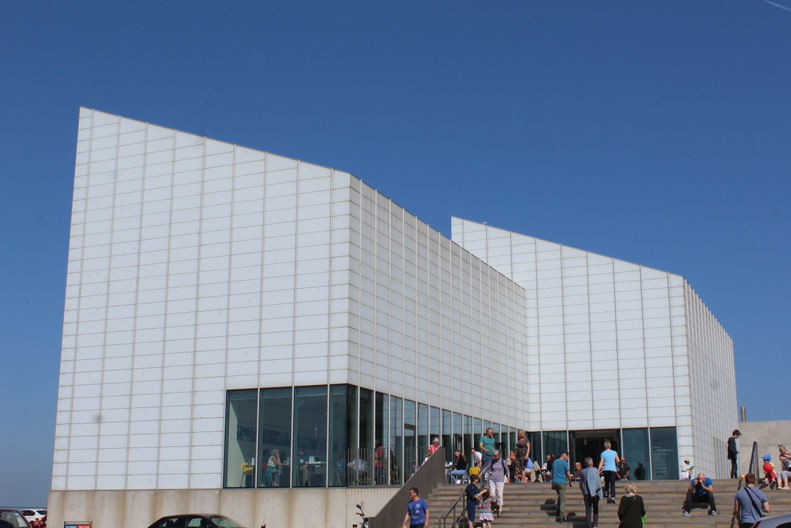 The building itself is quite fantastic, especially against the blue blue skies of Margate. 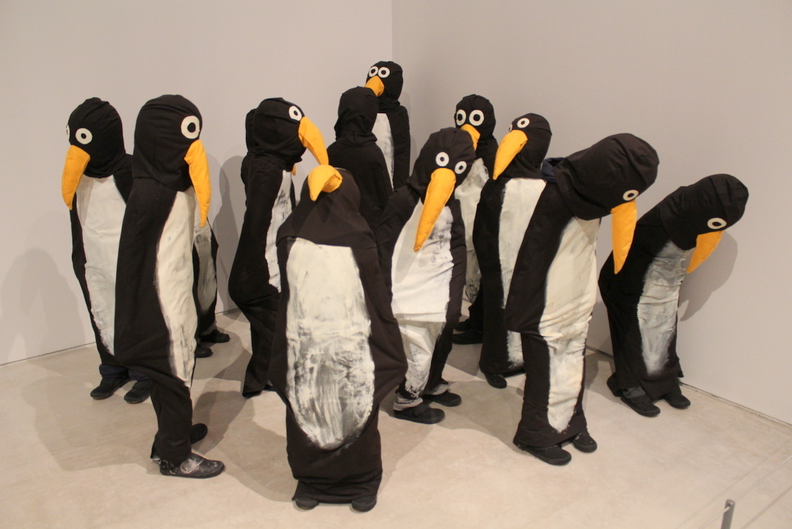 The art inside is more divisive, it depends really on whether you like modern art. Worth a wander around anyway, especially since it is free. You never know, something might catch your eye! Last but not least I include Dreamland on this list, despite the fact it was closed for refurbishment when we visited. This traditional seaside attraction park has really gone from strength to strength lately. First opened in 1880, with the famous Grade II listed Scenic Railway wooden roller coaster opening in 1920. 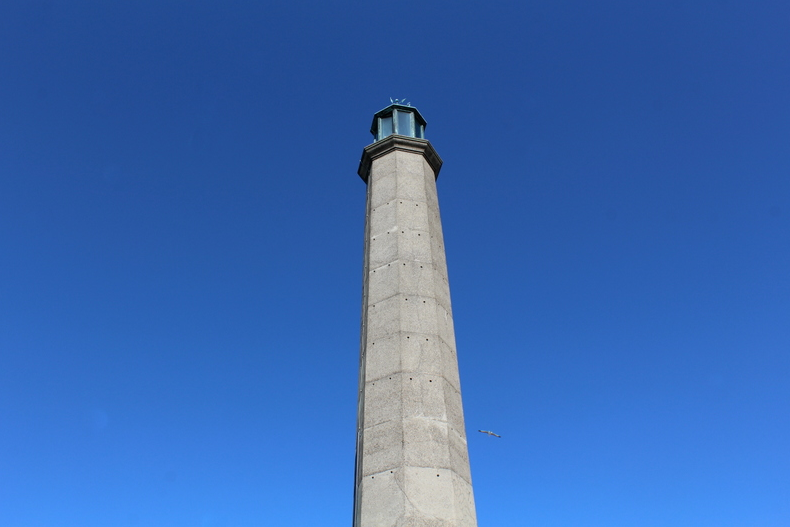 It fell into disrepair in the early 2000s and was closed before being subject to a number of arson attacks. It has been restored now to its former glory by Thanet council and Gorillaz announced their festival to be held there this summer (June 2017). 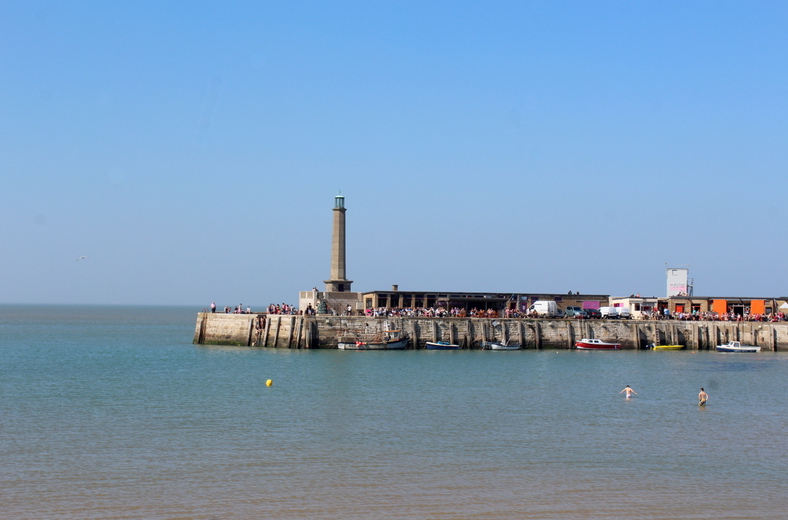 Margate has been described as the Hackney on the Sea, and in many ways that is very accurate. 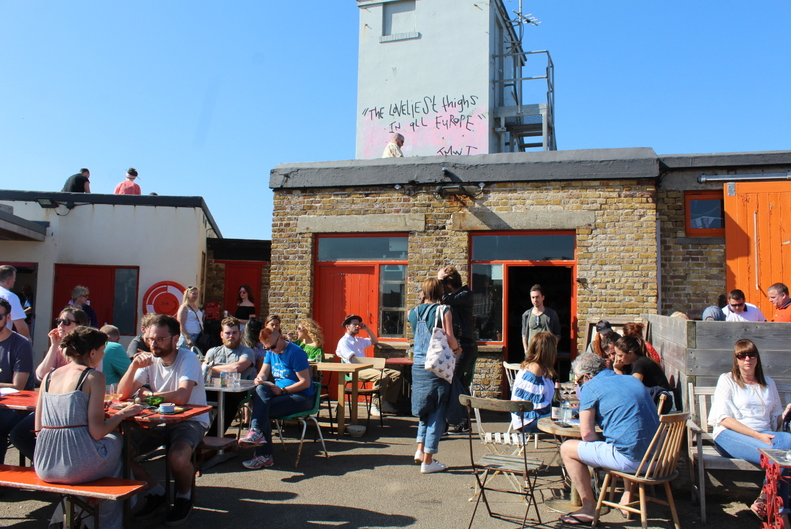 It does feel like all the artists and creators priced out of Shoreditch have picked up and moved down here, and I’m sure they’re the people to thank for Margate’s rejuvenation. However it still has the slight seedy feel of the forgotten seaside town. On the way back to London there was a huge fight on the train platform which meant our train was delayed for almost an hour. A gang of 16-18 year olds got into a fight and there was loud screeching as the scantily clad Essex type girls egged their men on. Luckily the police arrived and the ambulance. One can only hope that the people will be gentrified along with the town! 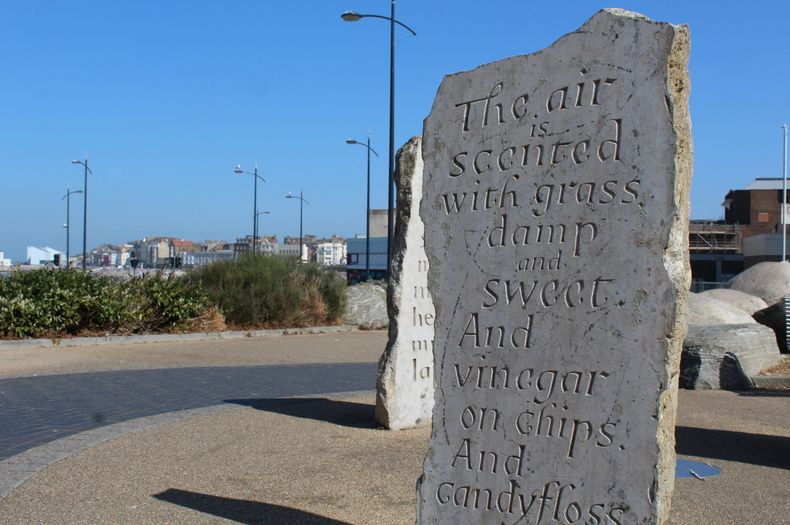 Just visited Margate and used this as a guide – thank you! I would definitely recommend the shell grotto, it was so eerie. The shop is fabulous as well.